Then as I was talking to my brother-in-law about it one day I was very surprised when he said he shopped there was he was on a two year religious mission in Ireland. What?! Now that I live in California, they actually just built one just 5 minutes away from me which is so exciting! If you don’t have one near you yet, I’m sure you will in the next few years. They are taking over the world! If you haven’t guessed it yet the store I’m talking about is Aldi. If you don’t know much about Aldi, they are a simple, clean grocery store with just one brand of products, unlike most other grocery store that have at least three or four brands per product to choose from. Shopping there is faster and easier. You just grab what you came for and get out of there quickly. It is also much cheaper! Every time I shop there my jaw drops when they tell me what my total is because it seems it’s 40-50% cheaper than it would be at other regular grocery stores. I feel like I would be crazy to shop anywhere else! It this all sounding a little familiar? Does it sound to you a little bit like another grocery store we all know and love? Trader Joe’s, perhaps?? Well that’s because you would be right! Trader Joe’s is actually a branch off from Aldi!!!! 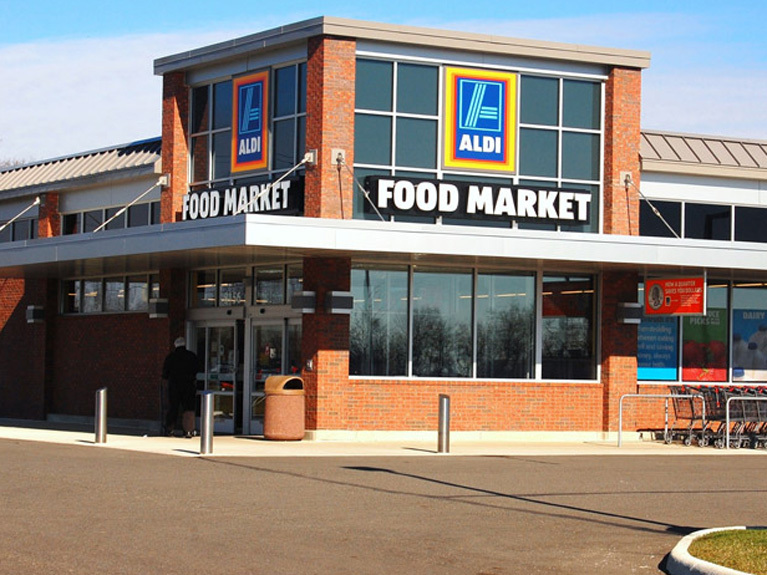 It’s an American version of Aldi North and the Aldi’s you see with the blue and orange logos are part of Aldi South. I will get into more of that a bit later. Those are my two favorite grocery stores to shop at so I love that! And that makes perfect sense why I love both of them so much. Anyway, I read an article about Aldi the other day and was absolutely floored! They have the coolest business model and it’s just no wonder they are one of the very top grocers in the world. Here are a few fun facts about their history and business model that makes them so successful. There are three main things that set them apart from other grocery stores to me and that is their check out process, the shopping carts and their shelves. They actually don’t bag your groceries at all for you. They scan all the items and put them right back into a cart. Then you take them over to the bagging area and bag them with bags you bring from home or bags you can purchase there. For the shopping carts, you have to pay a quarter to get one at the front of the store and then when you return your cart you get your quarter back. This keeps costs low for them so they don’t have to hire people to bag the groceries or round up carts in the parking lot all day. This in turn keeps costs really low. I don’t mind bagging or returning my cart at all for the prices I get on everything. So worth it! One of the first things you might notice when you're looking at the shelves in Aldi is that the product is still in boxes. That's not employees being lazy, it's exactly the opposite. The product is shipped in boxes that aren't just designed to be functional, but they're a part of what's called the "invisible case" project. Instead of having employees spend time opening boxes and putting individual product on shelves, they open the box and put that on the shelf — saving hours and, in turn, wages. You'll see efficiency packaging elsewhere, too. Things that aren't boxed — like produce — are wrapped in bundles and milk is shipped pre-racked, all to streamline the process from receiving to shelving to checkout. 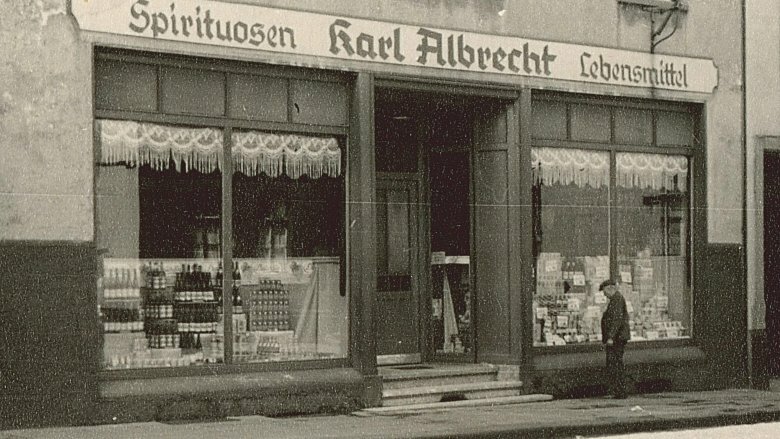 So Aldi started as a small mom and pop grocery store called the Karl Albrecht Spiritousen and Lebensmittel shop, which was run by Karl Albrecht and his wife. His two sons worked there as well and took over the store in 1945. They are the ones who took the company global. 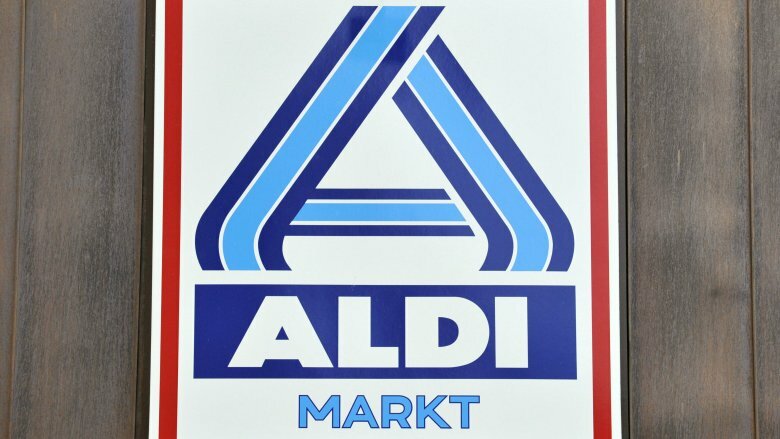 Today there actually two companies: Aldi Nord and Aldi Sud, or North and South. Theo and Karl Albrecht couldn't agree on whether or not they were going to allow their stores to sell cigarettes. They came up with a pretty shocking solution, and instead of compromising, they divided the company in half. There's a line that runs across Germany — known as the "Aldi equator" — and Theo took the north while Karl took the south. You can tell the difference by looking at the logo: Nord's logo is a basic blue and white, Sud's logo is orange and blue. It's the southern Aldi that's a bit fancier, and when it came time to expand to the rest of the world, those countries were divided up, too. Stores in areas like the UK, Ireland, and Australia are all Aldi Sud, while you're shopping at Aldi Nord if you go into France or Poland. Insane Return Policy—But It Works! Sure, most places will offer a money-back guarantee, but Aldi offers even more than that. They call it their Double Guarantee, and that means if you don't like something, just return the unused portion and they'll not only replace it, but they'll give you your money back, too. Anyway, I thought it was pretty cool to learn a little bit more about this store and what makes it so great and successful. 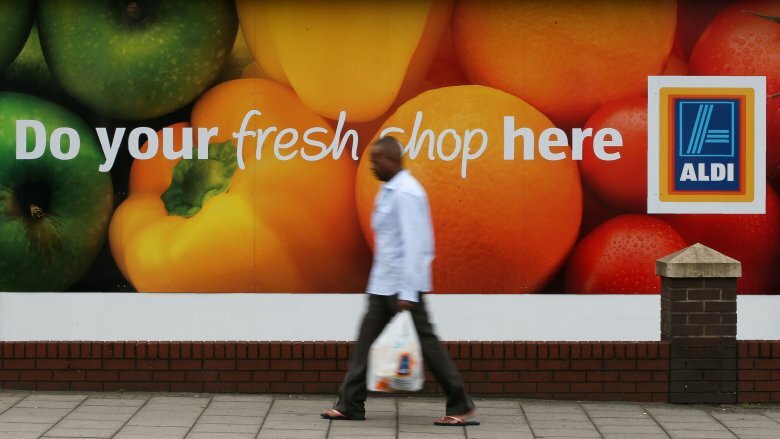 Have you shopped at Aldi before? What did you think?